It sounds like spring in the Comox Valley as the Snowbirds and the RCAF CF-18 demonstration team fine tune their performances for the coming air show season. 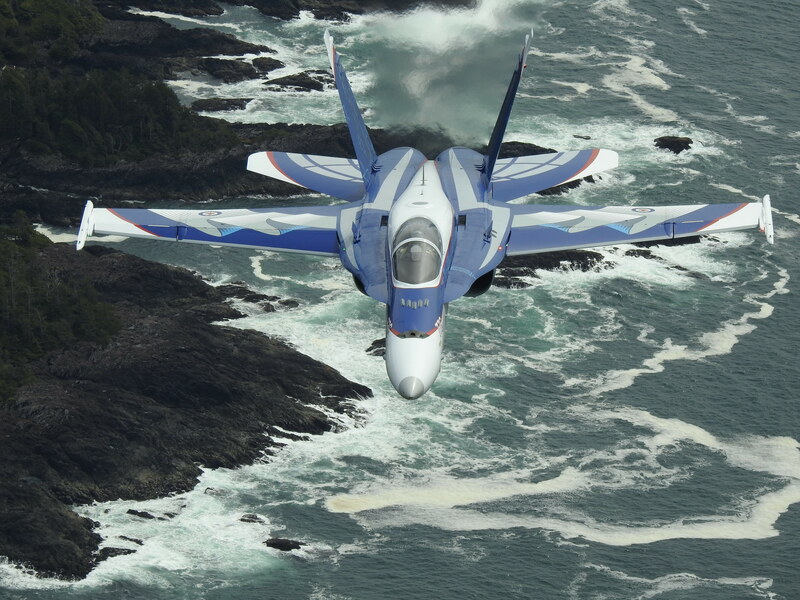 The teams are practicing daily from CFB Comox, which is the RCAF’s most active base in Western Canada. Favourable weather on Vancouver Island in April allows the teams to get a jump on the season and ensure safe and spectacular performances. It’s also time to do a little public relations and on April 19 the teams hosted aviation photographers, including Canadian Aviator, in a spectacular photo flight over Long Beach on the west coast of the Island. Look for a feature on the experience in the next issue of Canadian Aviator.